That is like the absolutely wierdest thing ever! 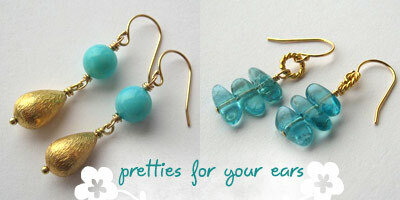 I just today made a pair of earrings EXACTLY like the gold teardrop/ blue ones listed! Right down to the earwires! WOW! I guess great minds think alike! !